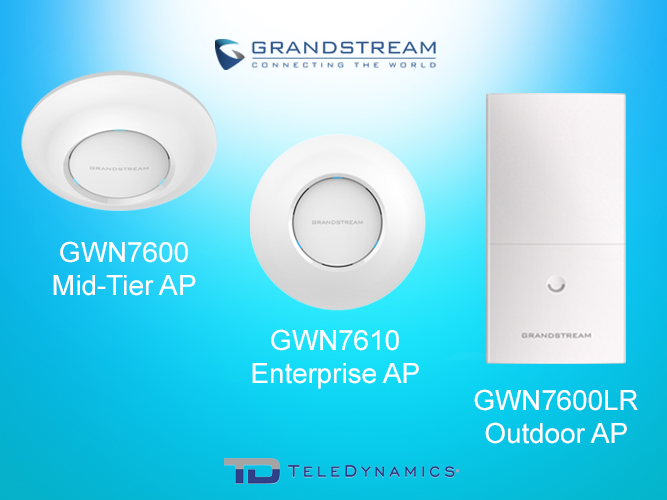 Grandstream’s GWN series delivers everything you need to easily set up and manage a powerful, safe Wi-Fi network for a company or multi-site enterprise, or even a long-range outdoor deployment. All of the GWN APs have a built-in provisioning controller. The controller acts as an agent between the network and the AP, and is accessed through the device’s user interface. 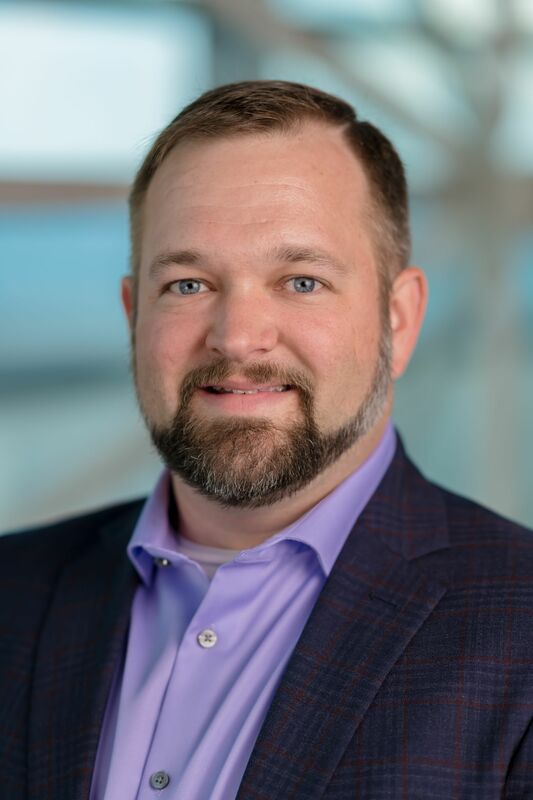 The controller on any AP allows auto-discovery and auto-provisioning of any other in-network GWN AP, so up to 30 or 50 GWN APs (depending on the model) can be provisioned and managed from a single access point. Grandstream also offers GWN.Cloud, an enterprise-grade, cloud-based management platform for Grandstream access points. This streamlines monitoring and maintenance, allowing you to manage the network across multiple locations, from anywhere. Enjoy real-time monitoring, set up alerts, track statistics and generate reports using a web browser or a mobile app for iOS or Android. Yet another way to centrally manage the Grandstream APs is through the GWN7000 Gigabit VPN router. You can manage an entire network of up to 300 access points from each router’s user interface. This embedded controller also automatically discovers and provisions any in-network GWN AP. Another remarkable feature of all Grandstream Wi-FI APs is their range. The mid-tier FWN7600 has a range of up to 165 meters (541 feet), the enterprise-grade GWN7610 has a range of up to 175 meters (574 feet) and the GWN 7600LR outdoor AP has a range of up to 300 meters (984 feet). 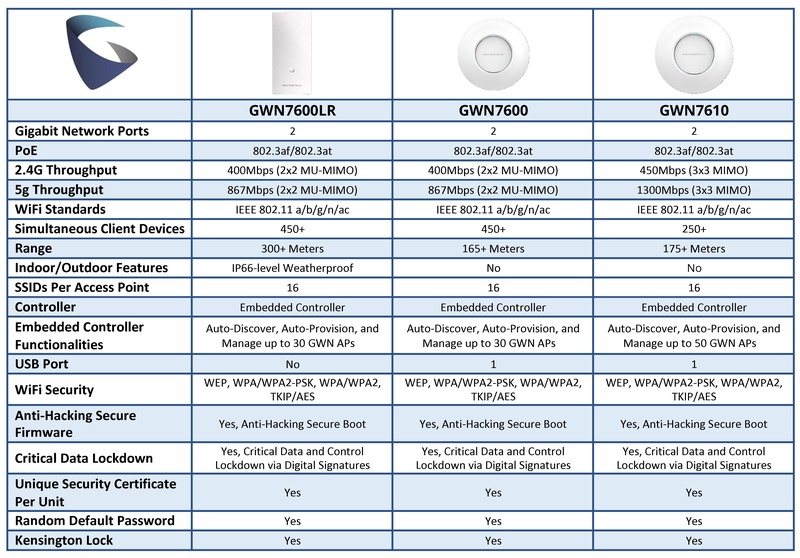 Here is a chart showing the key features and specs for all three access points. Grandstream’s enterprise multi-WAN Gigabit VPN Router allows you to safely and easily manage and monitor your entire Wi-Fi network, across multiple locations. 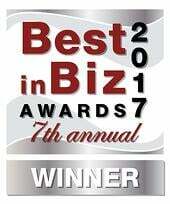 It features an intuitive management interface that provides effortless setup and management of the entire solution. Furthermore, it provides high-performance routing and switching power and a hardware-accelerated VPN client/server. 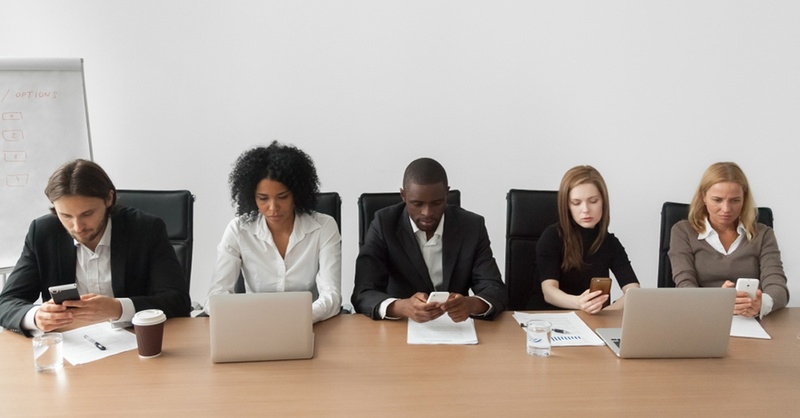 In addition to securing inter-office connectivity, a VPN shared over a wireless network automatically protects every device connected to the network , eliminating the need to install a VPN app on each device. What’s more, the GWN7000 offers multiple Gigabit WAN ports with load balancing and failover, advanced QoS support, and advanced security features such as deep packet inspection. 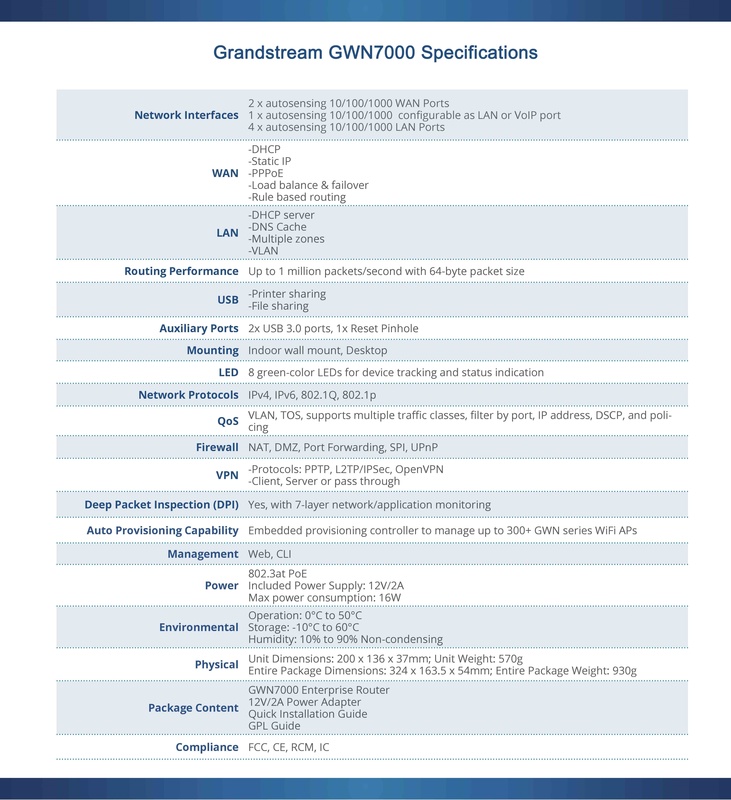 Here is a list of key features and specs for the GWN7000. Grandstream’s GWN series of Wi-Fi access points and Gigabit router offer a complete wired and Wi-Fi solution for supporting worker mobility and efficiency. The product line delivers a wide coverage range, enables advanced network security, and features incredibly easy, industry-leading configuration and management. Wi-Fi network security: do you have a blind spot?